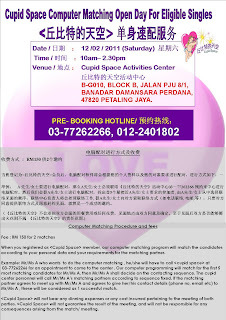 谨 此 通 知 电 脑 配 对 的 收 费 从 01/02/2011 起 将 调 整 至 RM150. 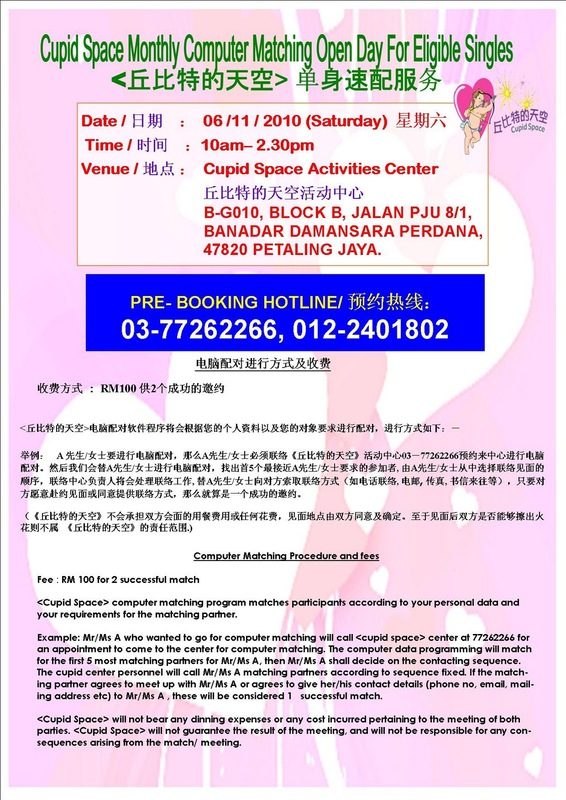 Cupid Space Activities Center is opening on 12/02/2011（Saturday) form 10am -2.30pm at Damansara Perdana venue for cupid member to do the computer matching service， those member whom are interested to do the computer matching, pls call 03-77262266/012-2401802 for pre-booking. 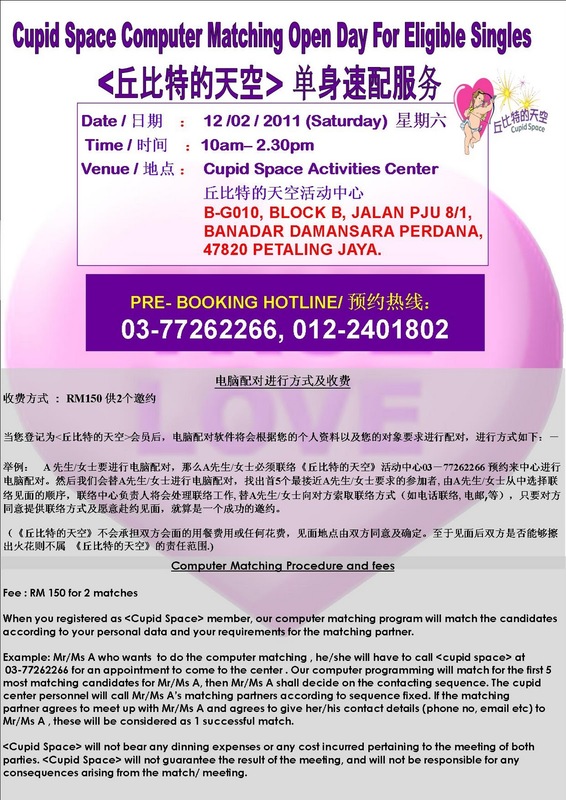 For those Malaysian Chinese, legally single, age 25 and above who are interested to join Cupid Space dating activities may also submit their application form ( must attached with copy of NRIC and photo) during the above mention day and venue.